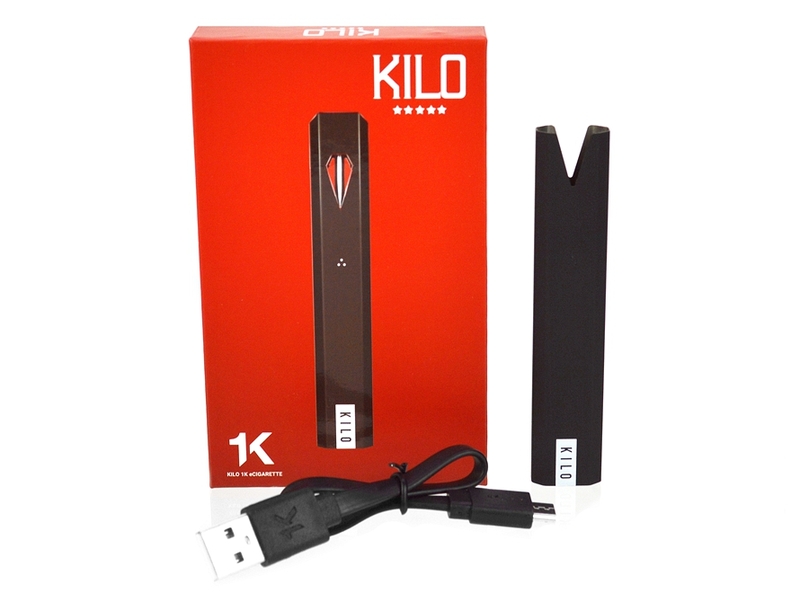 The new KILO 1K is the most versatile closed system device. 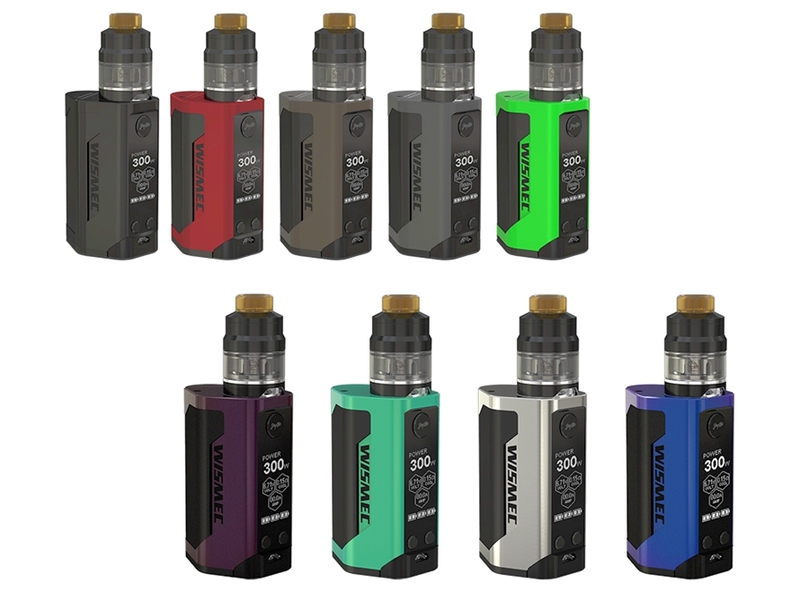 It features a 350mAh rechargeable battery for longer-lasting life, a 1.8Ω rating in a premium black matte finish and equipped with pre-filled pods with specially formulated flavoring from Kilo E-Liquid. The 1K delivers the perfect balance of ultra-portability and optimal performance. 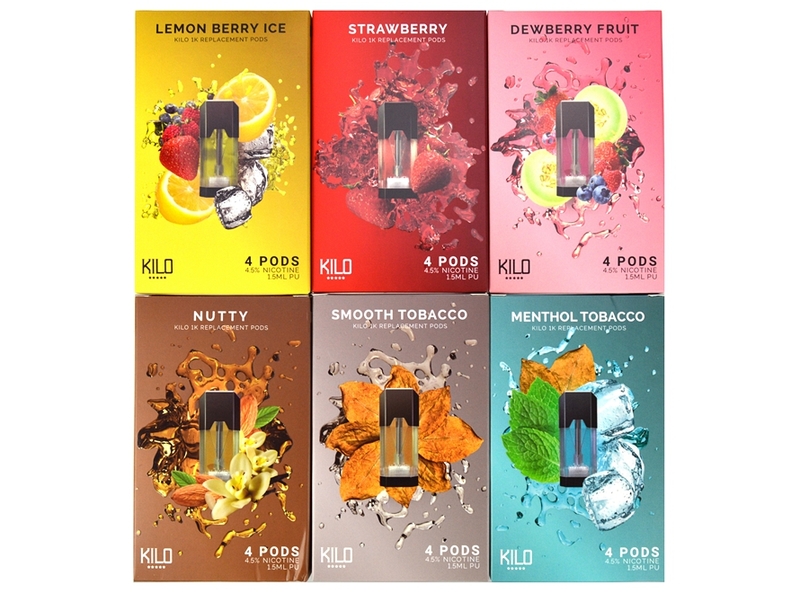 Proprietary pod elements that holds up to 1.5mL of pre-filled juice reservoir that is used in conjunction with the beautifully designed KILO 1K battery. 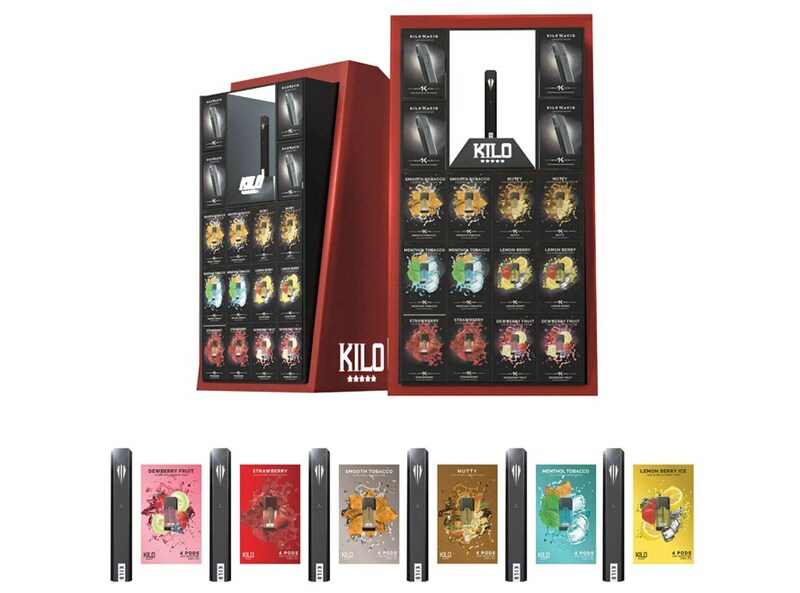 Included within each pack are four pre-filled pods integrated with organic cotton and atomizer core. Dewberry Fruit – An exquisite honeydew flavor with light hints of mixed berry that is every bit as delicious as it is smooth, striking the perfect balance of fruity. Strawberry – Bright red, sweet, and juicy strawberries. Lemon Berry Ice – A sweet berries and tart lemon with icy smooth menthol. Menthol Tobacco – Mild and smooth tobacco with a refreshing menthol aftertaste. Smooth Tobacco – A mild blend tobacco with vanilla and caramel notes. Nutty – A light almond flavor with hints of vanilla and cream.